Driving tests aren’t carried out in dangerous weather conditions, such as when the roads are icy or if there’s flooding, thick fog or high winds. Call your test centre if there are any of these conditions on the day of your test. The phone number for the test centre is on your booking confirmation email. If your test can’t go ahead. You can change the date you’re given if it’s not suitable. You can’t claim any out-of-pocket expenses if your test is cancelled because of bad weather. During bad weather driving test examiners actively try to continue testing wherever possible. They’ll regularly go out and check the road conditions and will use those areas that are unaffected. The test centres regularly monitor local weather forecasts and use this information to make informed local decisions. This means that although early morning tests may be cancelled, there’s still a chance the afternoon driving tests may go ahead. How can I check if my test is cancelled? There are many ways that you can keep up to date as to whether or not driving tests are going ahead at your practical driving test centre. You can phone the local test centre (at least 2 hours before the appointment). We have included as many of the bad weather phone numbers as possible on our driving test centre pages. You should also have this phone number on your driving test confirmation email from the DVSA. Check cancellations on Twitter, you can search for updates about your local test centre by using their specific, individual hashtag. For example, #AnnieslandDTC is the hashtag for Glasgow Anniesland Driving Test Centre. DVSA’s customer support team are able to tweet updates within minutes of receiving them from the test centres, so you can be assured that the information is accurate. Please note if your test is cancelled because of the weather, you won’t be able to claim for any out-of-pocket expenses. However, the DVSA will re-book the appointment for them at no further cost. You will usually get a new test date within 3 working days. This could take up to 7 days when the bad weather goes on for longer. 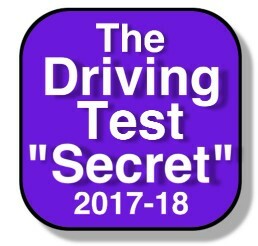 If your driving test is cancelled then why not use this extra time to prepare further by using The Driving Test “Secret”.